Elisa Gomez received her BFA with an emphasis in painting from the University of Utah in 2010 and currently lives in Denver. She has been involved in multiple shows since her graduation, most recently “Terrain” in 2016 in San Francisco - a show based on pieces painted while traveling across the Western U.S. this summer. Publications include Luxe Interior+Design Magazine and Lonny Magazine. 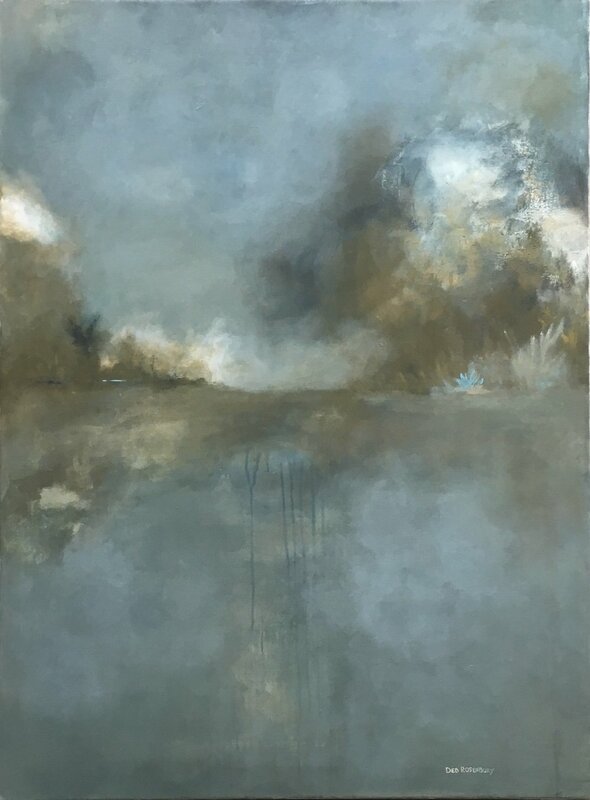 Working primarily in mixed media on canvas, Elisa Gomez wields her materials with the skill of a practiced fine artist while nonetheless composing her canvases with the ease of a studied art historian. Evidenced by a few discernible, well-executed, and discrete operations, her working mode transposes the schema and aesthetic of both European and American Abstract Expressionism with a studied sensitivity particular to her training and practice. Gomez demonstrates a playful attention to color, texture, and surface. 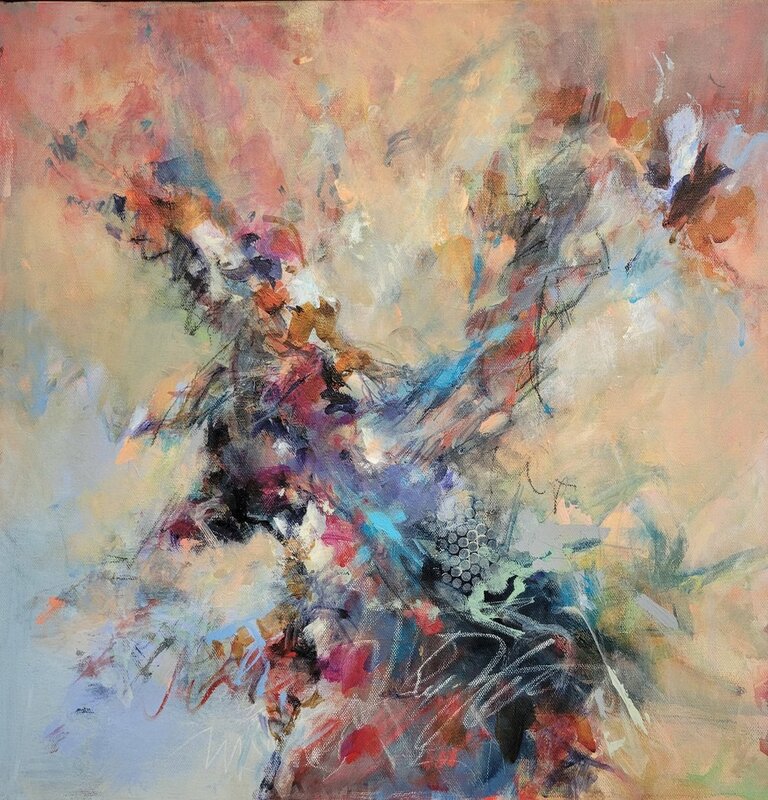 Palette and visual movement between, amongst, and across forms figure heavily into her pieces. In style as well as composition, Gomez’s work is replete with recurrent aesthetic maneuvers and peppered with extensive variation and experimentation. 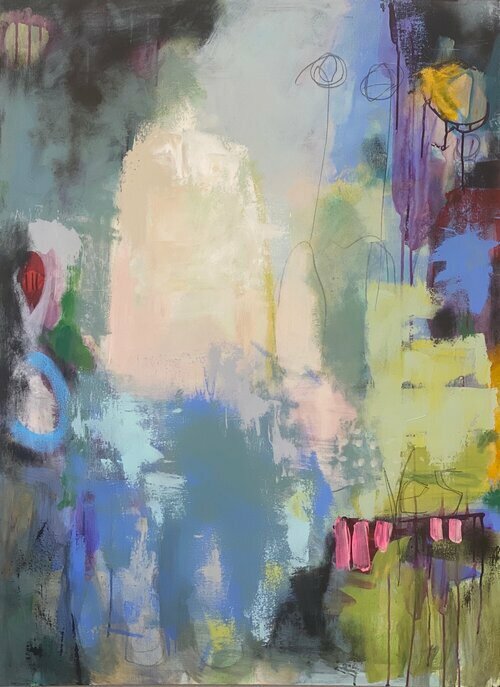 Her canvases continue to surprise and delight the viewer in their transposition of elements across genres and movements. This series is a study of the depth in dark, rich blues and plum tones accented with the highlights of small golden sparks. The flow and movement of paint hints to the musical application during the painting process. Texture and melting, deep reds are the focus of this piece. Painted on panel with bits of raw canvas underneath gives a heightened sense to the contrast of subject to background. Wanderer is a series painted after a long summer of traveling through Europe and experiencing a new sense of freedom. Spanish and Italian culture influenced the floral abstraction of this series. While the artist's love for flora and the outdoors is prevalent, the need to express her new liberation sparked the beginning of this series. Daylight is a series based on all the springlike, bright and optimistic qualities at the first break of sunlight. Textural application of the paint contrasted with the delicate lines of oil pastels is a common theme throughout Gomez’s work. The Midnight series was painted with the idea of the colorful and exotic life that comes late, after the sun sets. A time in the artist's life full of adventure and love, the Midnight series explores the good and bad nature of darkness. The Midnight series was painted with the idea of the colorful and exotic life that comes late, after the sun sets. A time in the artist’s life full of adventure and love, the Midnight series explores the good and bad nature of darkness.